Flat Darth Watch Watch face made from the azimuthal equidistant map. The sun rotates around the Tropic of Cancer in sync with the Shadow map as it does during the northern summer months. 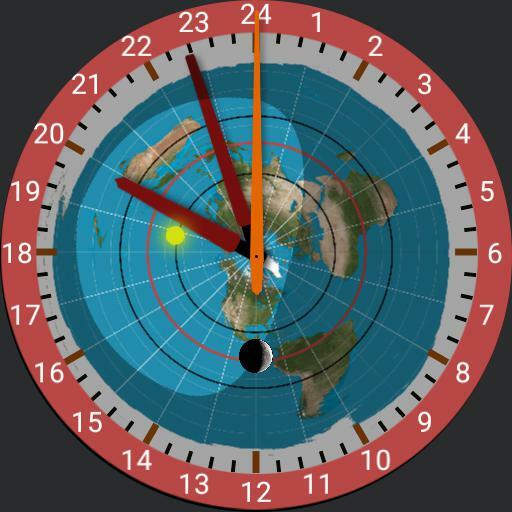 The suns position and maps positon is actually set for Central U.S. standard time.